Harry a reformed mini asking dad to take him out! Comments for who's the boss? I think it's very clear who the boss is!! 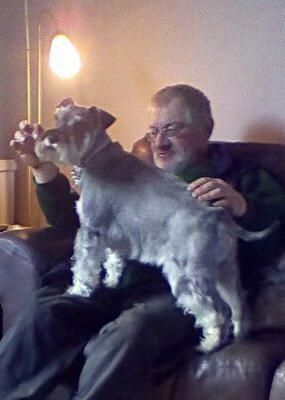 He looks just like Max pestering my father to take him out for a(nother) walk.